The vision of TAXIsystem is to be the best friend of the taxi companies from the driver seat to the office by offering the smartest services packaged and sold in a way and at a price everyone can afford. The TAXIsystem market will develop like the "neighbour markets" such as retail point of sales systems, the PC-market and the mobile telephone market. These markets and many others often starts with a few players offering a complete system built as a propriatory solution where the suppliers build the whole package or almost the whole package. When the markets is becoming more and more mature it moves into being solutions created as a puzzle of parts delivered by specialists. When the market enters this stage the prices drop dramatically. The TAXIsystem market is now entering this stage and TAXIsystem is totally built to handle the puzzle. TAXIsystem is focused on the software service and is cooperating with specialists on operative system (Microsoft), meters, handsets, data communication (all mobile operators), payment solutions, loyalty solutions and so forth. Smart – TAXIsystem is delivered in most currancies and most languages and has got own functionality or partner functionalities/services that altogether is making the service complete. The service is built in a unique way that facilitates all partner solutions to enter the service, which is an advantage for the customer in terms of total value. Easy – TAXIsystem is delivered to a taxi company in one day up to a couple of weeks. All upgrades, third party services and new functionalities are managed in a new unique way, which is handled totally without any work, cost or assistance by the taxi company. TAXIsystem is easy to test, easy to buy and easy to use. Affordable – TAXIsystem can deliver the service at a much lower cost than the competition thanks to the way the system is built, thanks to what components that are used inside the system and thanks to the way of delivering the service. TAXIsystem is the price leader in the taxi system market. TAXIsystem has 12 years experience from the TAXIsystem market. All the learnings in supporting technology for this sector is now launched in a brand new platform built on all the most modern technologies. TAXIsystem is sold to Taxi companies and Limousine services. One example of taxi company is Stockholm Transfer (www.transfer.se), which is one of Scandinavias biggest taxi companies with more than 300 cars. Stockholm Transfer has been a customer for many years and has moved in to the new version of the service. 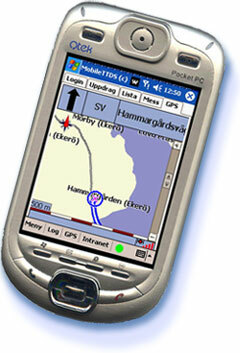 Freys Hyrverk (www.freys.se) is Scandinavias biggest Limousine Operator and is one of TAXIsystems customers. TAXIsystem is available for the biggest taxi companies but thanks to the way the service is generated TAXIsystem is also for smaller firms. TAXIsystem is available in most languages and most currencies.